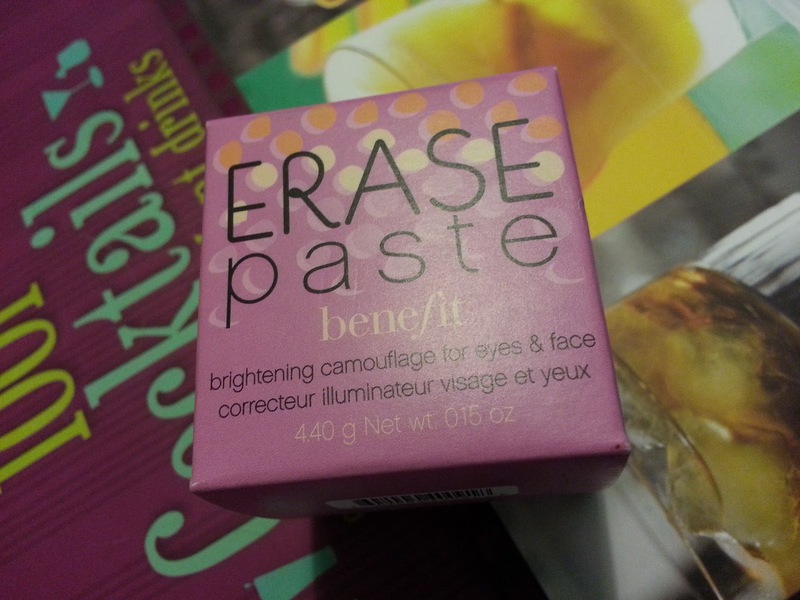 I got the Benefit Erase Paste for Christmas from my rents and have been using it ever since. 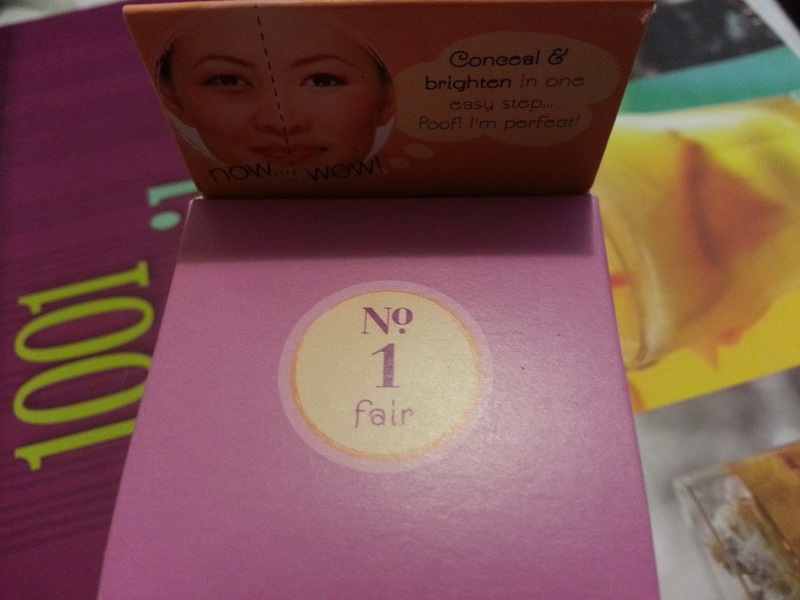 I cant actually remember where I heard about it from, but if you have read my blog (here) you will know that I have been struggling to find the perfect under eye concealer. Having got this little wonder pot at Crimbo and using it every day, I thought I would give you all my verdict. Firstly, as always Benefit have concealed (see what I did there?) 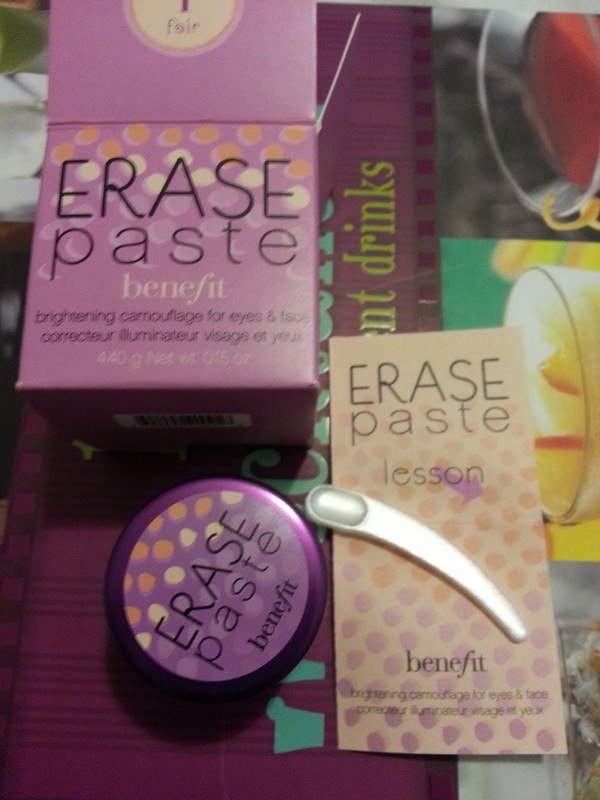 the erase paste in some very cute and nice packaging. The tub has a lot in it for a small pot and it's not bulky, so it fits in your make up bag/box/van/room (depending on how much of an addict you are) perfectly with room to spare - meet you in the shops! It also comes with a set of instructions and a spatula to scoop it out with, all very handy. I got the "fairest of them all" with shade no1. I'm never sure with shades what to go for, but as I wanted it to act as a concealer/eye brightener, I thought the lighter the better. So, what about the finish? It has great coverage, so say goodbye to those dark cirlces. You don't have to use much at all, so the pot will last forevs, which is always nice when it's cost you (or your rents) £19.50. It definitely brightens up your eyes and face and gives a real wide-awake look. I'm not sure if I have found the ultimate-i-will-not-buy-anything-but-this-ever product just yet, but this lasts really well and doesn't crease under your eyes. If you are thinking of buying, I would say 'go for it', make sure you get a colour slightly lighter than your skin tone if you want it to have that real brightening effect though. Let me know if you have tried it or if you would recommend something else in the comment box below! Hi! I'm your new follower and I have just nominated your for the Libster Award! So I'm still searching for the best concealer, it seems impossible with my quite dark and strange under eye circles. Also, I bought my very first pot of erase paste just after Christmas 2011 and I still have about half the pot left... Amazing! 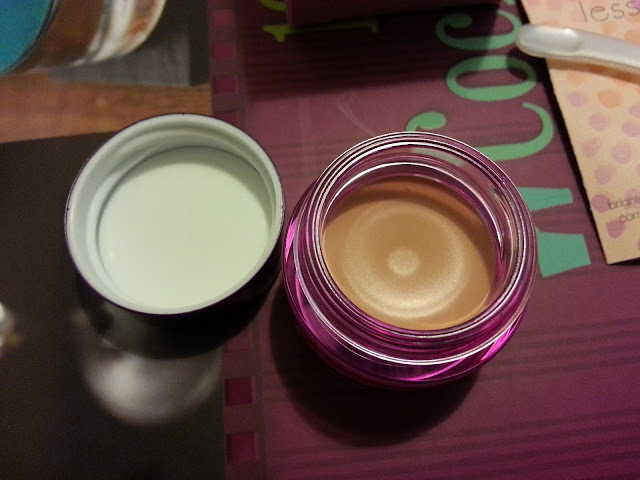 I love how much it lasts, especially as it is a little pricier than the highstreet brands. I have lost the spatula thing tho - gawd damn.